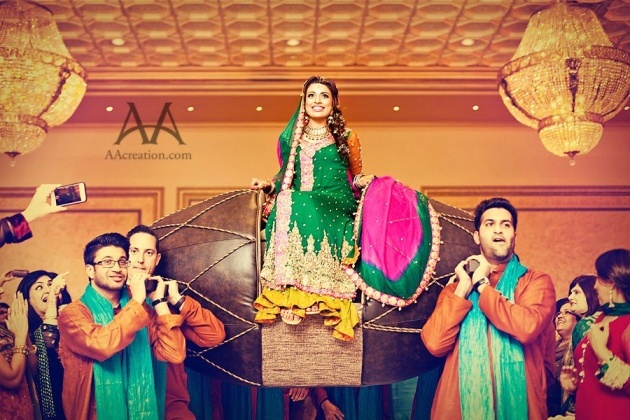 In Pakistan the wedding day is very important in the life of the person who is getting married. It is also a very happy and exciting day for all those who participate in this beautiful function family and friends. There are many days of celebration, but the last three days are the most important. there are two major ceremonies, one is religious, Nikah which I'll explain later what it is, and then there the other the social. ceremony. 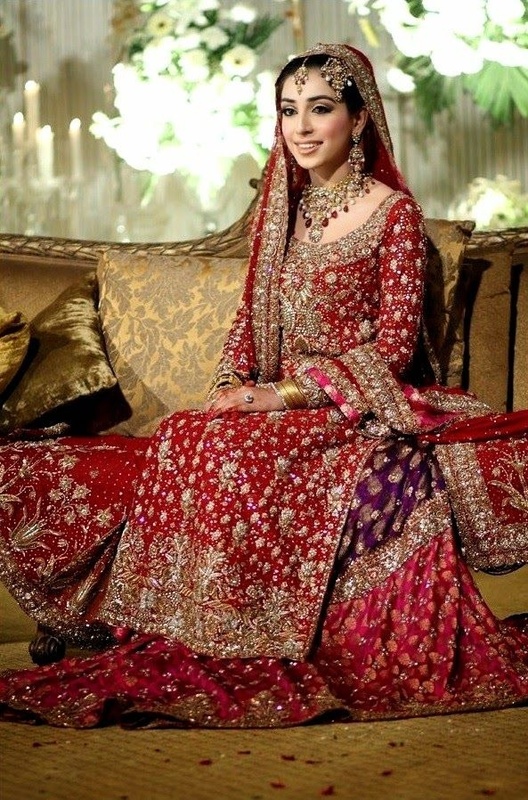 Today I will show the most significant, cultural and beautifull aspects of a weeding ceremony in Pakistan. 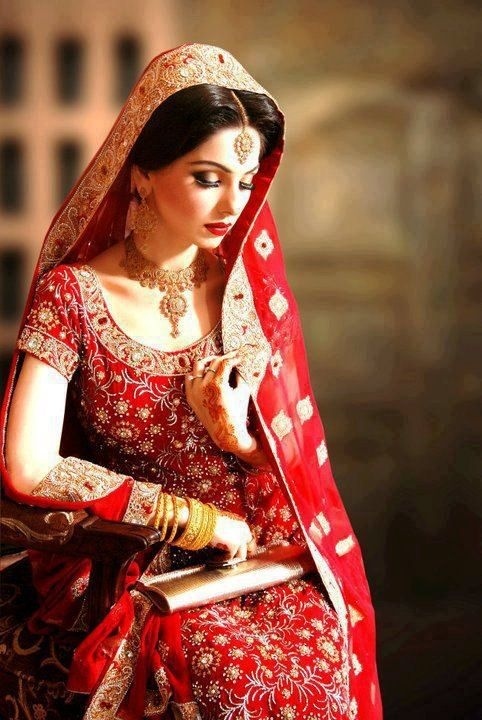 Preparations of wedding start years before even a girl is engaged. Parents do whatever they can to make this the best day of a girl's life. Even though dowry is not acceptable but parents try to give as much as they can. The main preparation starts about a year before the wedding. Budget is decided, checklist of stuff for the groom and bride and checklist of guests are made. Some people also employ wedding planners, whereas others like to plan everything by themselves. Planning wedding isn't easy at all. 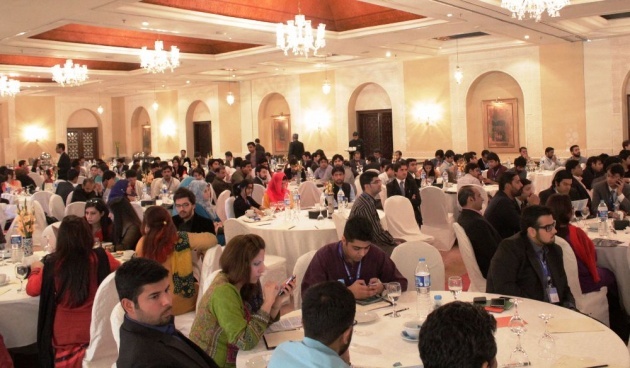 There is lot of work to do, for example first of all, decide if its going to be held at family's place or in a marriage hall, then booking a marriage hall, and rest of things I will mention later in my blog. Here are some pictures and a video where you can see how a marriage hall looks like in Pakistan. All picture are taken from google.com. 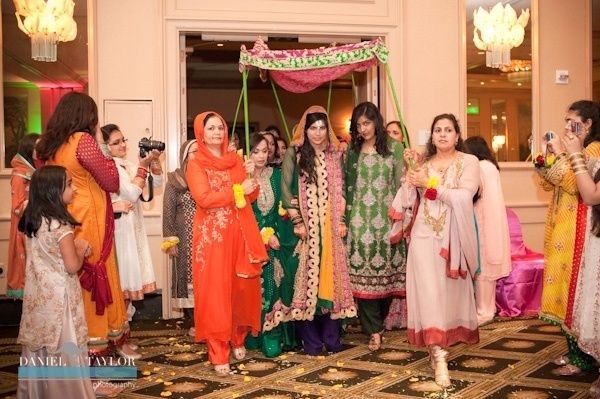 The Pakistani wedding is always a very big ceremony and on wedding all relatives, family friends, friends, collegues are invited, for an average wedding ceremony between 200 to 1000 guests are invited, because of several reasons: The wedding is in Pakistan the highlight of life. 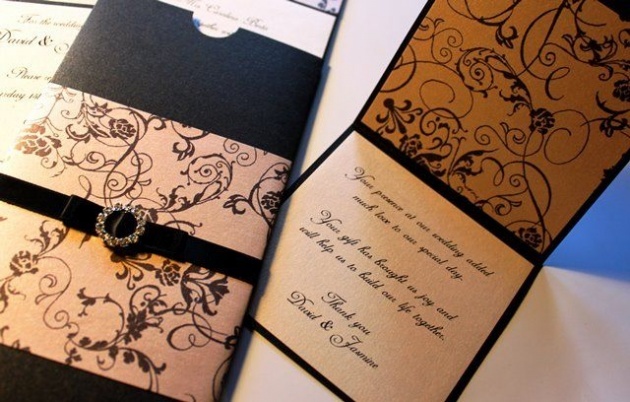 Many Parents start saving moeny from their income for this special day of their children's life long in advance towards this event.To invite guests on wedding there is a typical way of sending an invitation card printed with wedding date and place where it is going to take place by a person, who is kind a servant of that family. Here is sample of that invitation card so you can see how it looks like. Next comes the planning of the big day. 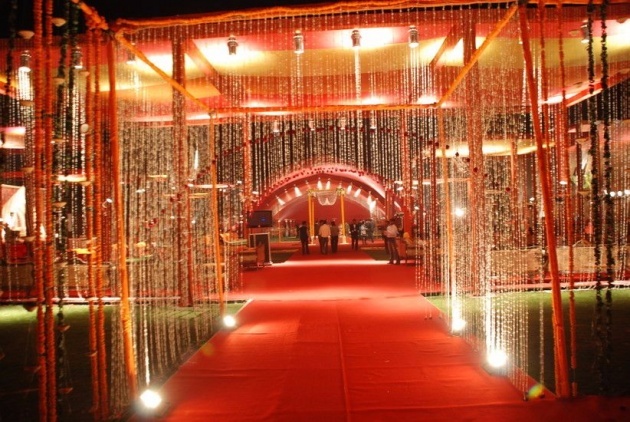 This includes deciding the venue, decor, DJs, florists and the photographer and video recording. After deciding on these, comes the catering business. There are a lot of caterers here and there so it is not a difficult thing to decide who the caterer should be. One of the most important thing is the bridal dress. It's not easy to decide. There are so many options from which the bride have to choose. It can take a lot of time depending on how choosy the bride is. Second important thing is the bridal jewelry, this is just as difficult to choose as the dress. The dress and the jewelry have to go perfectly with each other. These are the highlights of the wedding. After these, make up artists are booked months before the wedding. As no risk should be taken of finding a makeup artist at the last moment. What bridal will wear is the most important thing for everone because that day is her life special and she needs to be look different and gorgeous. Buy her dress is a tough task for her family and herself because there are lot of designs out there in markets and to choose from so many designs and then keeping in mind all other stuff, jewelleries she is going to wear and what he look is going to be, her shoes all those things need to match are have a pattern or something common between them at least.So what she wears is called "wedding Lengha“ that's a long skirt and a shirt and a Schaal. The dress is embroidered with silver or gold and it is mostly red. She wears also alot of gold jewellery and many bangles. 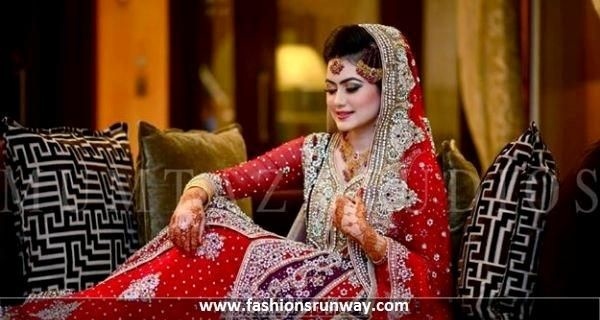 Here are some pictures and video where you'll be able to see how a pakistani bridals looks like. Same as bride, choosing groom's dress is also a dificult task, groom's dress is choosed by either bridal or by his friends with his own consent. Sometimes it matchs with bridal's dress colour or something. There are so many design and styles from those he can choose one. 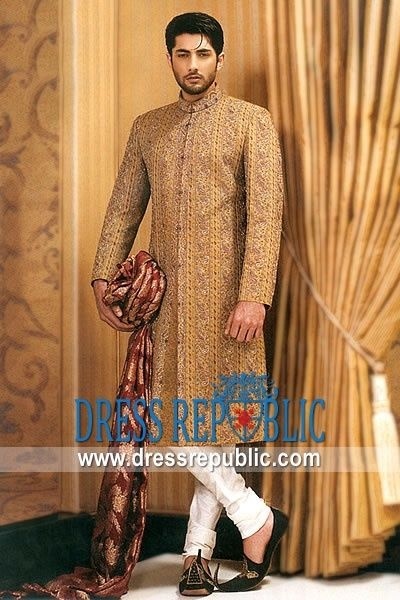 The groom wears a traditional „Sherwani“ with the turban and a „Khussa“. Khussa“ are traditional shoes and are made by hand specialy for the groom. He also wears a chain of jasmine flowers, the engagment ring and a watch. 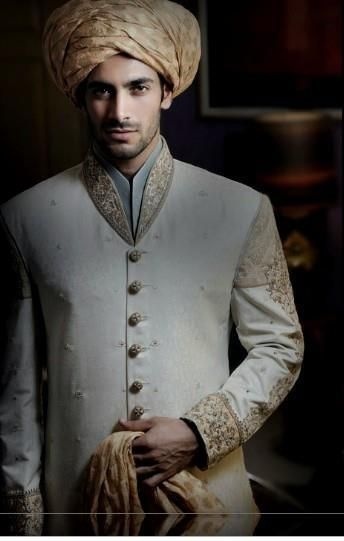 Here are some pictures and a video where you can see the look of a pakistani groom. It takes place in the morning with very few guests, just very straightforward family and close friends.Before the wedding parents seek the suitable spouse for their child. Bride and Groom should belong to the same social class and the same caste. After that the groom's family brings gifts to the bride's family , icluded a golden engagement ring and traditional dresses for the bride and her family. 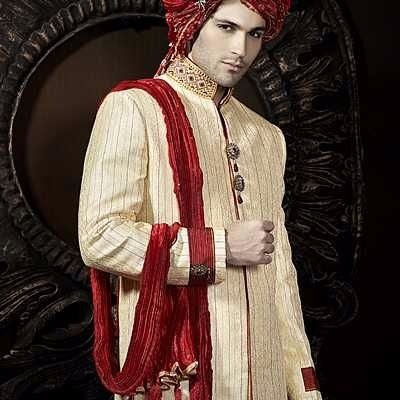 The bride's family brings also clothes, gold sets or watches for the grooms family. All eat together and fix the wedding date than they all eat together. Engangment (mangni in urdu- pakistan's language) is done few weeks before marriage day, sometimes even few months before marrieage. 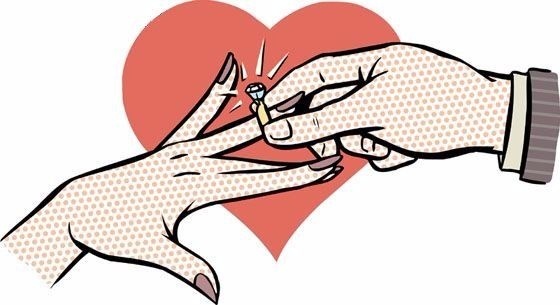 Basically this day groom and bride get to see each other for the last time before marriage according to the tradition and this the day where they exchange their rings and become spouse. 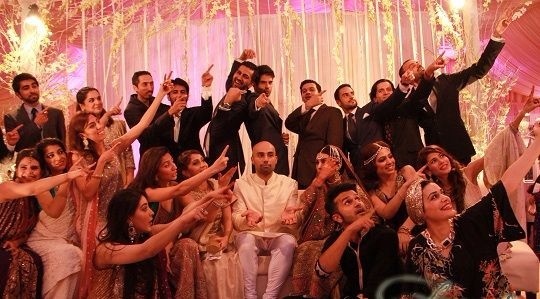 In pakistan engagment cermony is done in two different ways, one of them is old traditional, according to which parents from both side groom and bridal exchange rings and its celebrated at each others place. 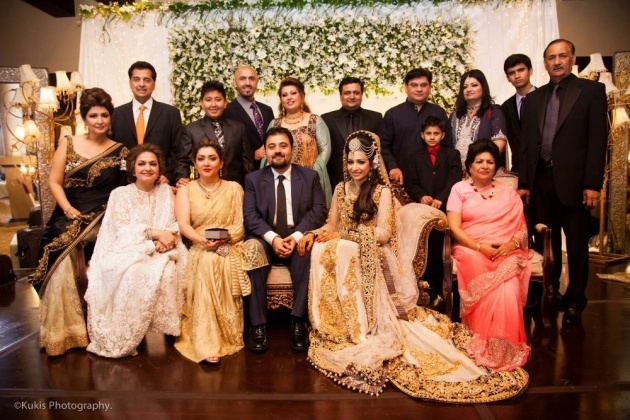 But now adays its done in a modern way which means both family gather at the same place and also groom and bride sit togethere and they exchange rings and the both families celebrate together and its held in a marriage hall or sort of engagment hall. 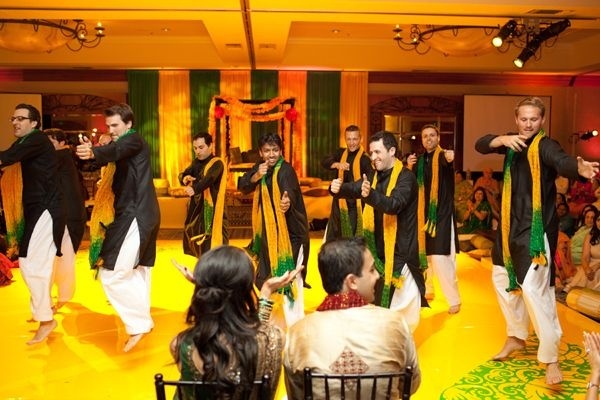 Dholki and Mehndi (mehndi in english known as Henna) basically are two similar and yet different funtions and important part of the pakistan wedding ceremony. Dolki is a popular ceremony for singing traditional wedding songs & popular songs accompanied by two or three percussion instruments Dolki being the main.This starts when there few days left for they big day (marraige day), as they day comes closer celebrations and excitement increase and preparations process goes more rapidly. Than just a night before marriage day "Mehnd" is celebrated which is described in the following paragraph. The bride sits on a chair, which is decorated with fresh flowers and wears yellow or green clothing. Her sister and closest friends bring the fresh Mehndi which is decorated with a candle. 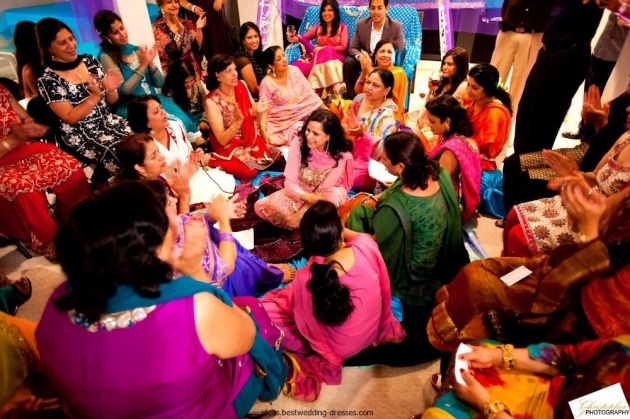 Mehndi is commonly applied to the bride at a so-called Mehndi ceremony before the day of Wedding. After all family members come and feed them sweets; then they put henna on their hand coming one by one. The second day is called "Shadi". This day is the most important of the three. 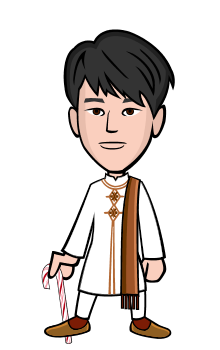 Many times on that day we also have religious ceremony. On that day, the groom arriving by car accompanied by his family and friends also in cars wich is callad Barat and those are in that barat are called barati. 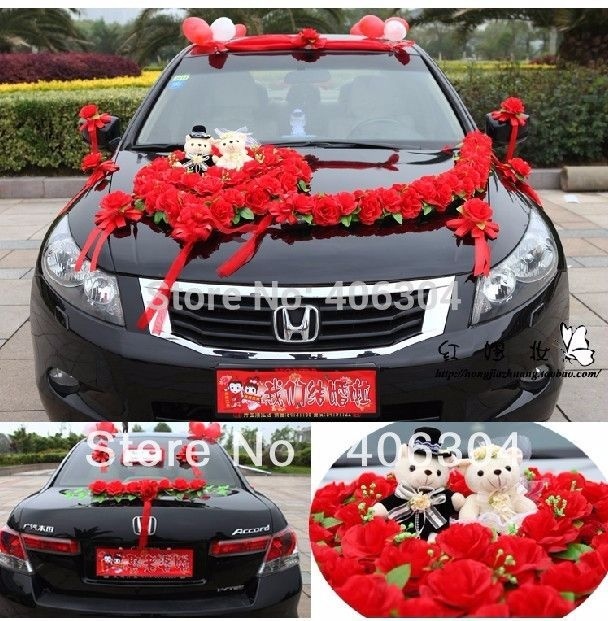 Grooms Car is beautifuly decorated with flowers.The family of the bride organized this day and welcomes the groom's family. When barat reachs to its destination all baratis come out of their cars and they all start walking, the groom in front surrounded by his direct family member and best friends and barat is lead by a msical band.Than barat enters to the place where bride's family welcome the barat with fresh flowers and drinks later on food is served. The groom sits on the stage. Then the bride's family brings bride to the stage, which is not usual sometime bride stay in her house untill Nikah is performed. When everybody is settled down, a religious personality ( Imam or sheikh) comes and performs Nikha. I'll explain in the following paragraph what Nikah is. 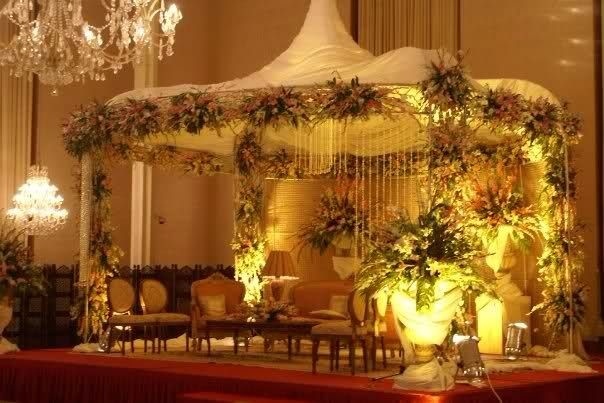 Once Nikah is performed, The bride is then together with her fiance to the groom's house. 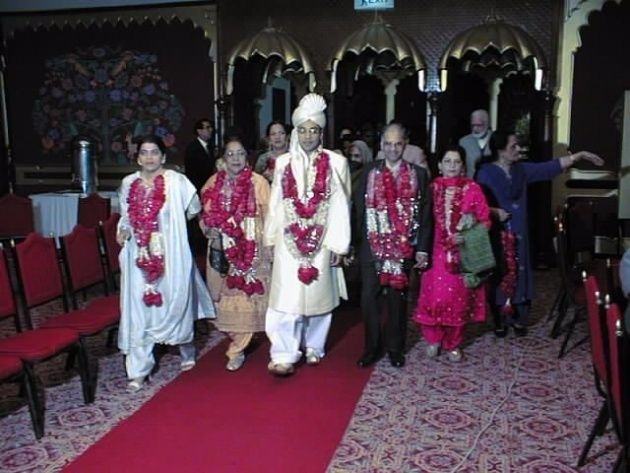 The couple spends then 1 to 2 days at the in-laws and then they go together to the house of the bride and bring their also a few days.all guests eat and then Barat returns to the grooms house taking the bride with them. Reaching home groom's family does a warm welcome and then the couple sits on sofa where everyone comes and introduces himself/herself to the bride and relation with groom. 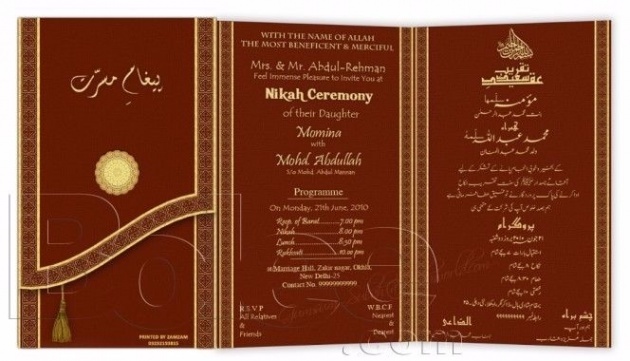 Nikah is the fundamental part of a muslim marriage, after nikah the couple officially is considered married. 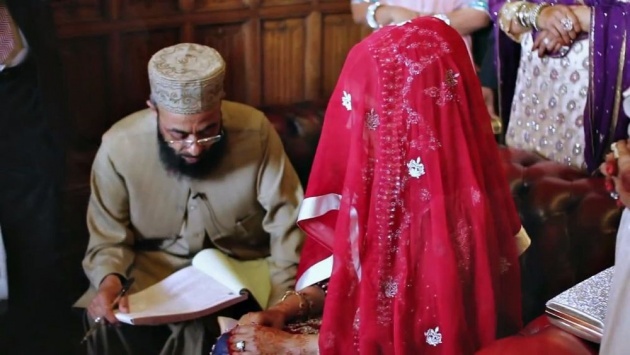 Nikah is performed by a religious personality called Imam who is from the bride's side. Once the groom and his family comes to the bride's place wherever it is organised either at bride's family place or in a marriage hall, Imam comes and perfoms Nikah, while performing Nikah Imam first makes sure if the grooms knows Islams fundamentals and then he (Imam) asks groom three times if he is willing to take brige as his wife, after grooms agrees imam gives him (the groom) his marrriage register which he bring along with him where grooms signs which is basically their marriage cerficate, then Imam goes to the bride and does same then comes back and recites few verses from Quran and then they all pray for newly wedded couple and wish them a happy married life. 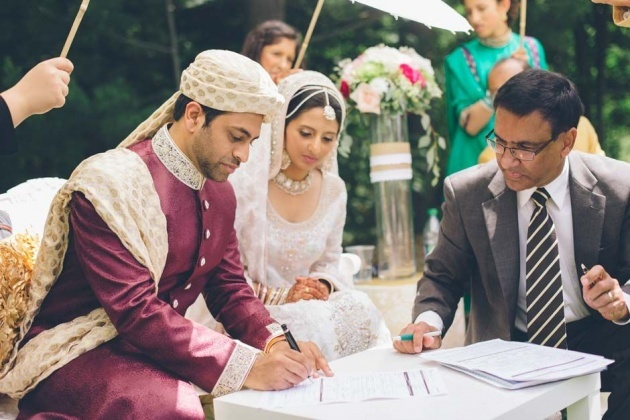 Once Nikah is done and Imam leaves, groom and brides family members and friends come one by one and the congratulate them both and wish them a happy married life. After that comes the bride's sister and gives the groom a glass of milk. The groom has to pay something for the glass of milk. Or another tradition is that the bride's sisters steals and tries to hide the Groom's shoes. And then he has to pay money to get his shoes back. When the groom and his bride are leaving the weddinghall, the Quran is held over the head of the bride as blessing. Although dowry is not permited or recomended in Islam or by Law, bride's parents do their best to give evrything they can for their dear daughter and they provide her all essentials and necessary things which a couple should have to start their married life. 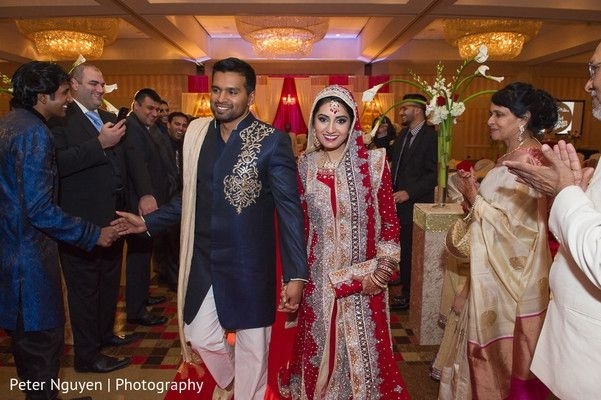 The bride's parents give the groom a gold ring, watch and clothing. The groom's sister gets also golden earrings and clothes, the brothers and the father get a watch. The mother gets a gold set and clothing. What the family and all the relatives give the bride will be shown at the ceremony. 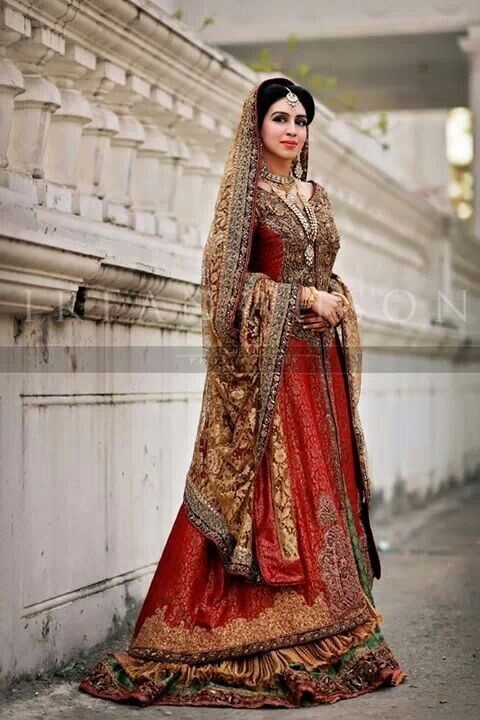 The bride gets traditional Clothings (Shalwar Kameez), shoes, gold and many more things. 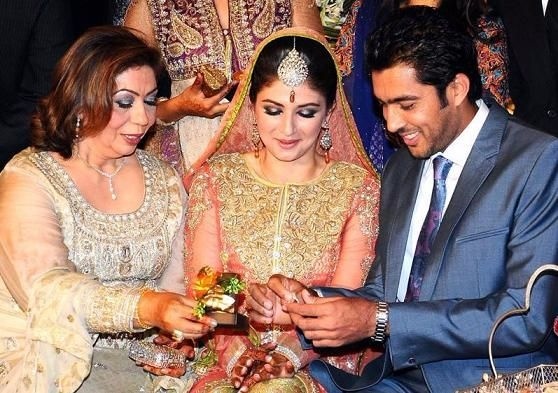 In addition to gold and jewelry, which play a major role in an Pakistani weddings, money is also a popular wedding gift. This is similar to European weddings, for example for a grant to the celebration or for the honeymoon. 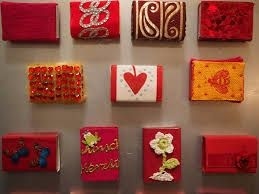 Other traditional gifts are decorative items for the common home. For Examples vases and paintings. The third day is called "Walima". This is the last day. The groom's family organized this ceremony, welcome to the family of the bride. The newlyweds are sitting on the platform. Comes the family of the bride to congratulate her and wish her well. That day is formal also. On that day there is also food. One of the conditions of Waleema is to show sincerity and not to forget the words of the Prophet Mahammad (SallAllahu Alayehi Wa-sallam) "Organise a walimah, even if it is only with a sheep." An other term of the Waleema is to give priority to the poor people. 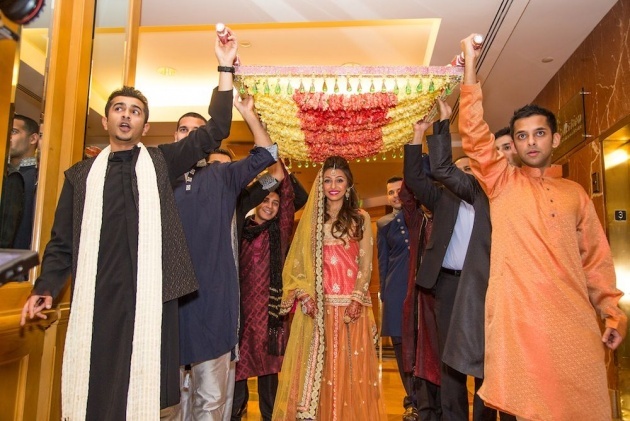 This function is organized by the groom and his family. It´s a festival to celebrate the Married couple. 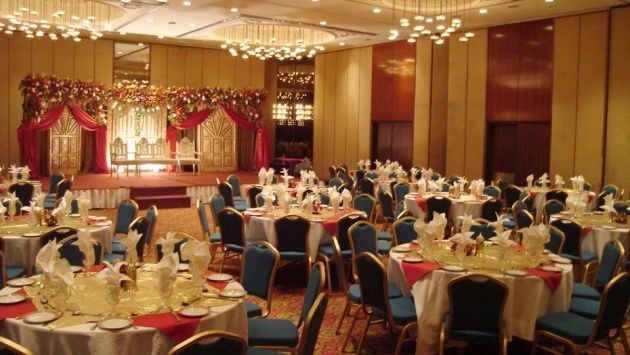 It is also celebrated in a large hall or hotel. 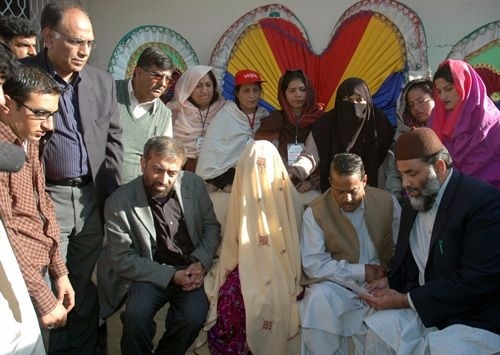 On each day of marriage poors are given food, cloths and some money as well by the both families. All pictures are taken from google.com and video are taking from youtube.com, I hope you guys like my post, take care and thanks for reading my post. See you soon.